Imagine a pathway that resembles a mystical forest, which walking through, makes you feel like you’re in the midst of nature, a symbolic countryside perhaps. The smell of spices, citrus, and chocolate welcoming you and creating anticipation and excitement for what’s ahead, which is nothing short of a beautiful experience. 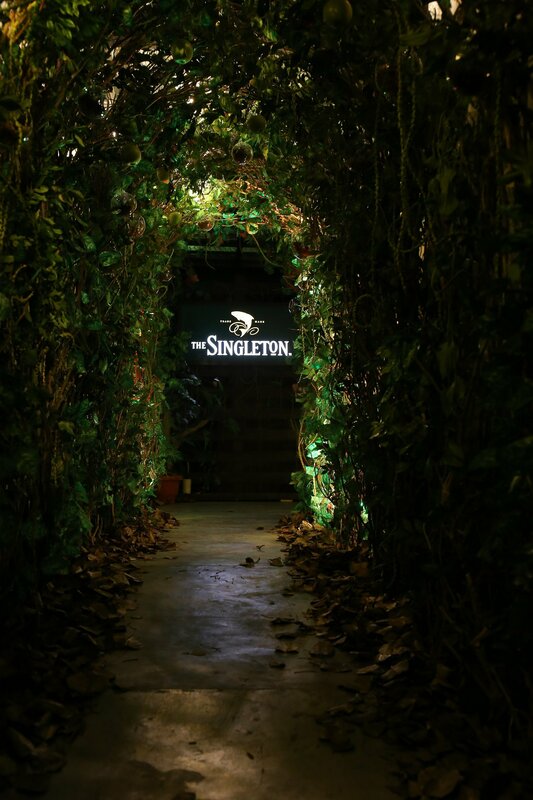 This is how I felt as I stepped into the Singleton Sensorium, India’s first multi-sensory Whisky tasting experience. 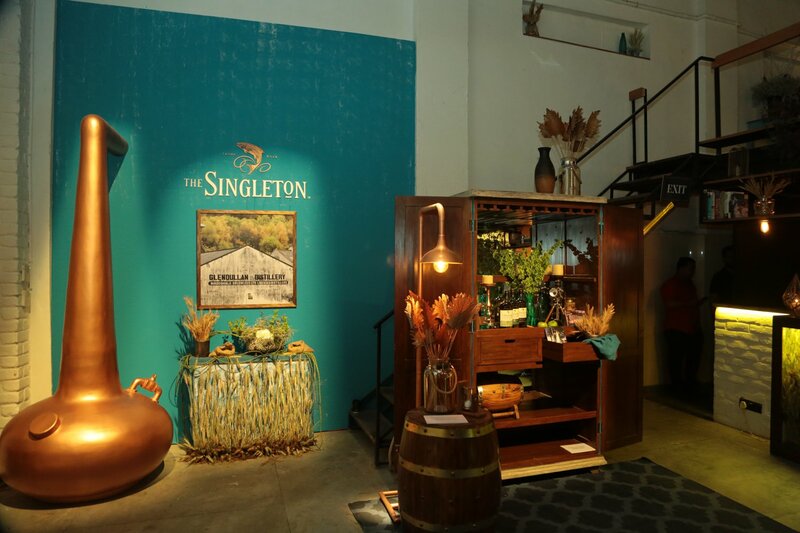 This one-of-a-kind tasting of The Singleton Glendullan single malt whisky recreated the setting of the Speyside region of Scotland. 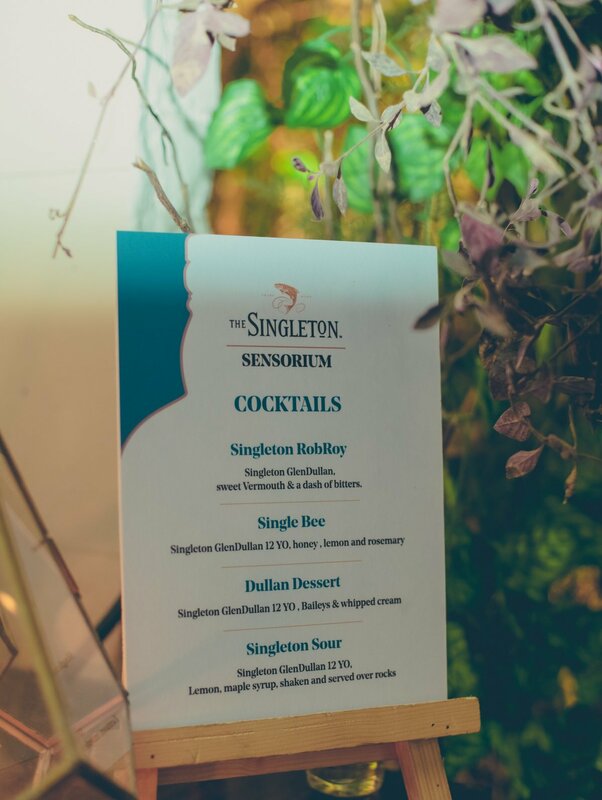 Here, guests could not only see and taste but also understand how smell, sound, visuals, and spaces create Singleton’s flavours. 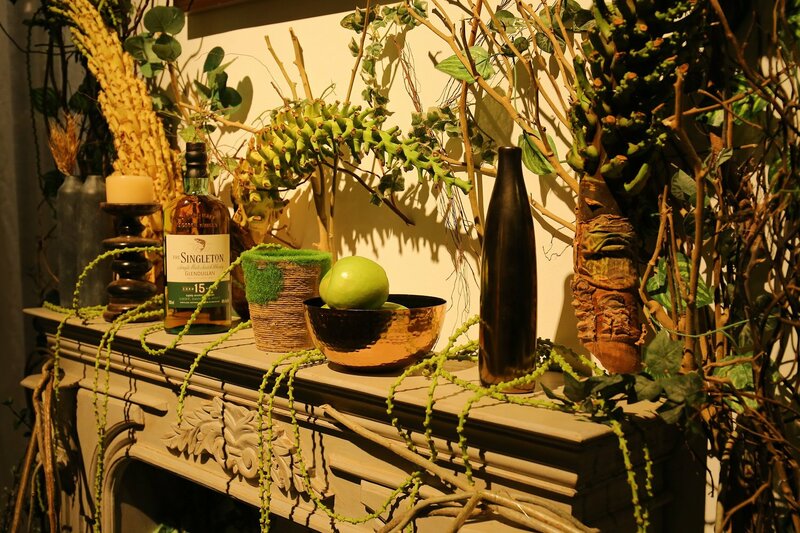 Our expert guide for the evening was Brandon Toborg, International Brand Ambassador – Reveres Portfolio, India, who gave us a little insight on what goes into making the delectable expressions of the exquisite whisky. 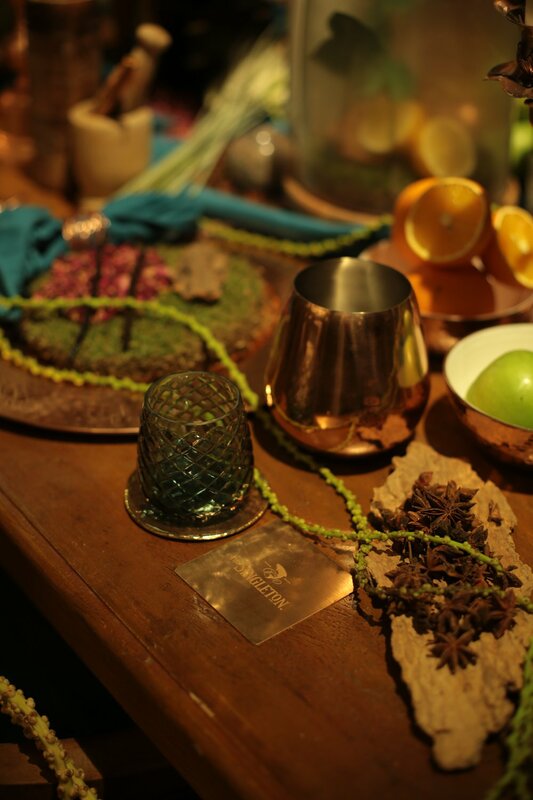 And, as we walked through the sensorium, we realized what made it so amazing! 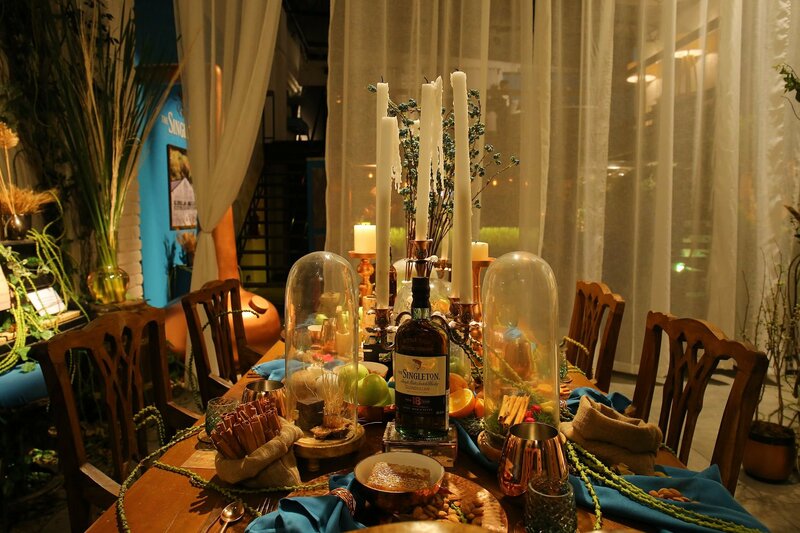 Kept alongside the various expressions, were the delicious ingredients that made them so extraordinary. 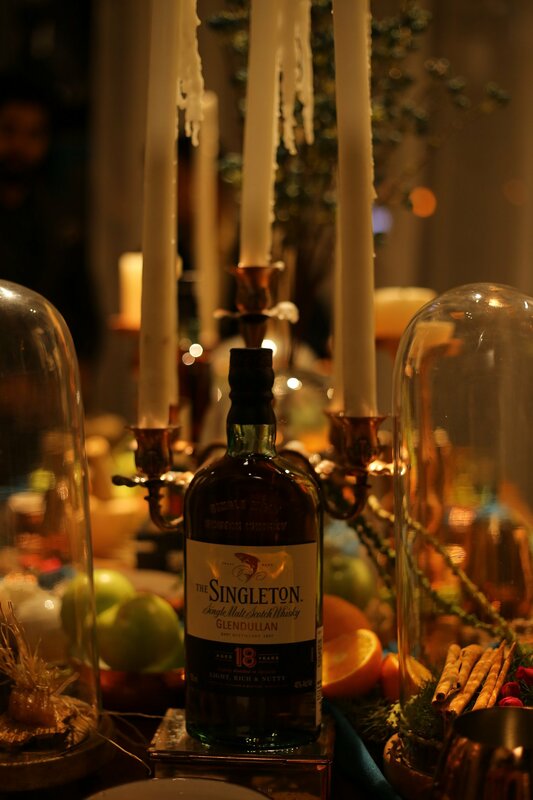 Honey, raisins, and green apples gave the 12-year old expression its authentic flavours. So, while our eyes were feasting on the drink, our nostrils were filled with the subtle flavours that we couldn’t get off our minds! The 15-year old expression, however, derived its unique taste from cinnamon, coconut, heather, caramel, and toffee. While this was being told to us, I couldn’t help but think of the taste of caramel in my whisky. Damn, I couldn’t stop my mouth from watering as I craved the caramel flavoured whisky! And, as we walked past the 18-year old expression, the magnificent flavours from honeycomb and dark chocolates greeted us! Once we were familiar with the ingredients, Brandon asked us to consume specific taste enhancers before tasting every expression. For instance, he asked us to taste green apple jellies before tasting the 12-year old Glendullan, which enhanced its fruity taste. It tasted creamy at first, but when Brandon added a bit of cold water, it gave out a citric fragrance, which made it taste even better! 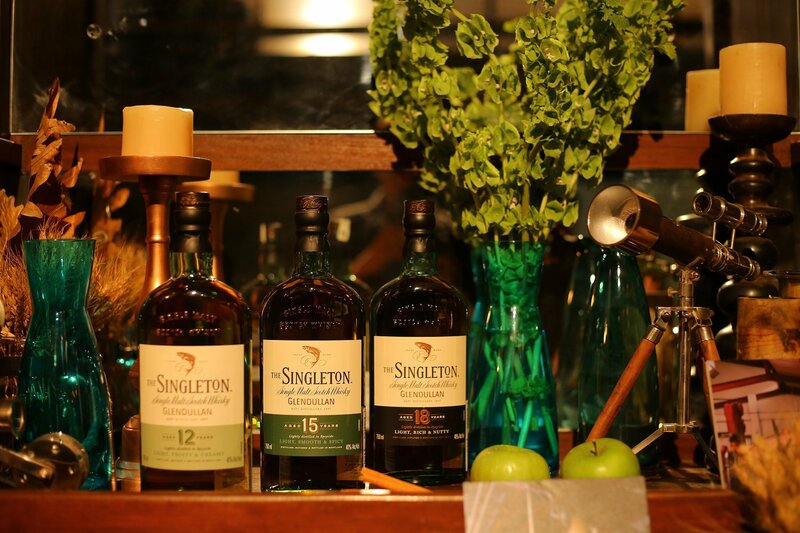 Likewise, we were given vanilla essence before tasting the 15-year old Singleton, which we were asked to smell from our palms and it beautifully complemented the spicy notes of the 15 yo. Cinnamon added a rich aroma, with the added taste of raisin, coconut, caramel, and toffee. I felt like this was my soul-drink! 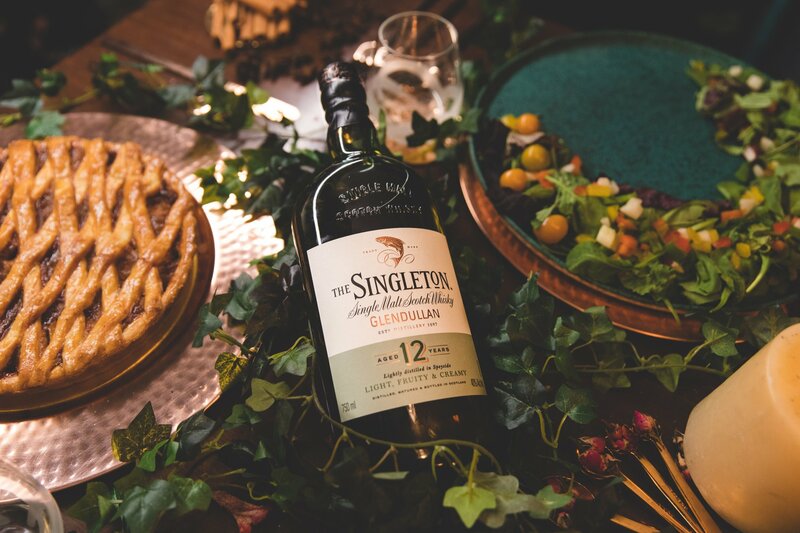 And, before we went on to taste the 18-year old expression of The Singleton Glendullan, we were given almond foam to taste, which perfectly boosted its nutty finish. The dark chocolate and honeycomb added a bitter-sweet after-taste to the 18-year-old expression. The tour didn’t just end there, because our delightful guide, Brandon was generous enough to stir up some delicious cocktails for us. You can try out these amazing combinations at home as well, but make sure you drink responsibly! At the whisky tasting, it wasn’t just about the taste, it was about emotions, the sights, the smells, the touch, you ask for it! Each and every sense of ours was in for a treat with the variety of flavours we tried and tasted.